Regular newsletters are sent out to help people decide what to buy. Users can unsubscribe from these emails at any time. 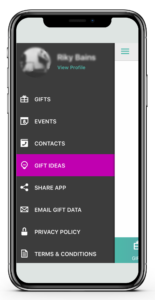 With lifestyles being so hectic these days, the “Send Thanks” functionality ensures you have a quick and easy way of thanking people for their gifts. Or, if you’re sending a thank you note offline, you can record that so you can ensure you’ve thanked everyone you need to. Add Events and create Wishlists within them which you can easily share with your family and friends. Our Wishlists have a section for things you don’t want, so you can ensure you always get gifts you’ll love. Build up a profile of likes and dislikes within a Contact to help you buy gifts for them. 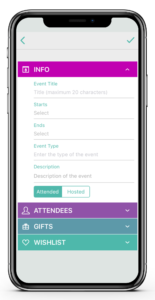 Add links to all external Gift Registries in both Events and Contact Wishlists so everything is in the same place. When I got married, and especially after having kids, I’d write down all the gifts we’d received in notebooks or spreadsheets. I then started noting down gifts we gave too, to ensure I wouldn’t give anyone the same gifts two years in a row! I ended up with multiple notebooks, spreadsheets that were on different computers and tried to find an app that would do it for me instead. 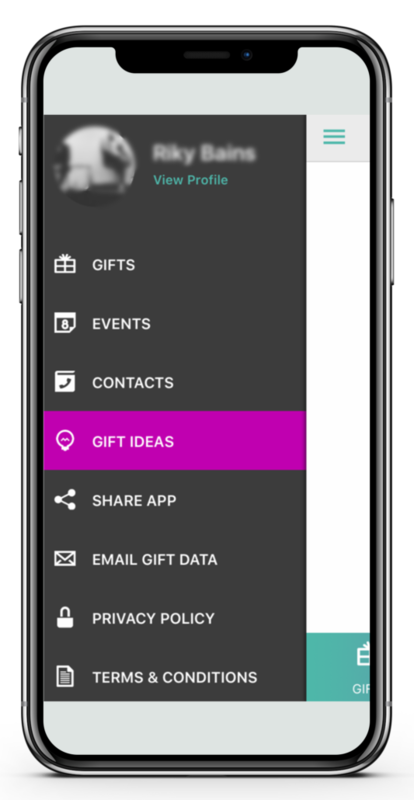 When I realised there was no app that allows you to do this I decided that I’d create one as I know so many other people, like me, make notes on gifts and would find it useful. 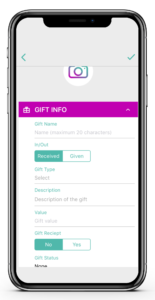 GiftLog is designed to make logging all your gifts extremely easy as I know, being a mum of two, how precious time can be! How can I download GiftLog? Why do I have to register/sign up to use the GiftLog app? Why does the GiftLog app need access to my device camera, photo’s and contacts? When you add a gift or event in GiftLog you can take photos’s of it, which is why it needs access to your camera and photo’s. When you add gifts you add a contact to that gift, so you know who gave it to you or who you’re giving it to, which is why GiftLog needs access to your Contacts. You can also add Contacts manually – e.g. friends of young children can be added directly into the app instead of being imported from your contacts. Can I use GiftLog if my phone is not connected to the Internet? As GiftLog saves all your data on the cloud it is not possible to use it if you’re not connected to the Internet. However, this is something we’re looking into for future releases.